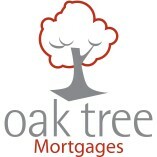 Oak Tree Mortgages were founded 15 years ago to provide a friendly and professional mortgage broker service within the Solihull area. We offer mortgage advice to home movers and first time buyers as well as offering remortgage advice and advice on buy to let mortgages. We provide face to face advice at one of our three offices located on the Stratford Road in Shirley, Solihull; the Coventry Road in Sheldon, Birmingham; and the Alcester Road in Wythall, Birmingham. Appointments can be made online or by calling one of our local offices. We have helped may thousands of people over our 15 year history and are now the most reviewed local mortgage adviser within the Solihull area. We very much look forward to being of service to you.